How to get to Groningen? What to do in Groningen? It is with great pleasure that we announce our upcoming conference After the Crisis: Remembrance, Re-anchoring, and Recovery in the Ancient World, an international conference on the aftermath of crises in the ancient world, 800 BCE – 500 CE. The conference will take place at Groningen University, December 15-17, 2016. Crises resulting from war or natural disasters turn the life of individuals upside down, and they can leave marks on a community for many years after the event. 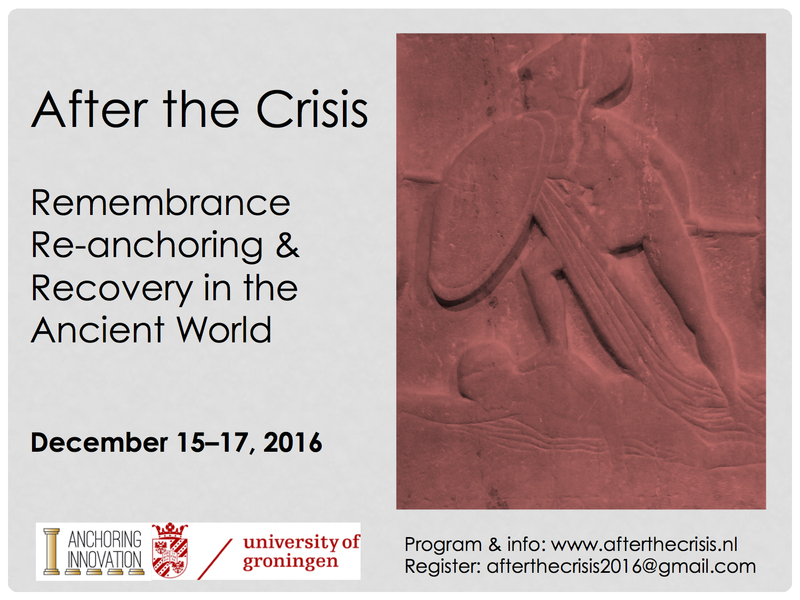 The After the Crisis conference will explore how such crises are remembered, and how communities reconstitute themselves after a crisis. Can crises serve as catalysts for innovation or change, and how does this work? Finally, what do crises reveal about the accepted state of order against which they are defined and framed? 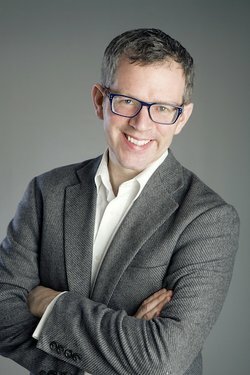 The keynote speaker of the After the Crisis conference will be Tim Whitmarsh, who is A.G. Leventis Professor of Greek Culture at the University of Cambridge, and the author of the international bestseller Battling the Gods: Atheism in the Ancient World. The closing address will be delivered by Steve Mason, who is Distinguished Professor of Ancient Mediterranean Religions and Cultures at Groningen University. The conference flyer and full program is available as a PDF here. Please register via afterthecrisis2016@gmail.com. Attending the keynote lecture is free. Conference participation (including lunch) is 15 euros. The conference is generously supported by OIKOS Anchoring Innovation; Faculty of Arts; Faculty of Theology; Groninger Alumni Fund; Sustainable Society; OIKOS Impact of Empire; OIKOS Hellenistic and Imperial Literature; Groningen Research Institute for the Study of Culture; Young Academy.